What's the connection between learning disabilities and psychological problems? Learn what the research tells us. Children with learning disabilities (LD) often have problems that go far beyond those experienced in reading, writing, math, memory or organization. For many, strong feelings of frustration, anger, sadness or shame can lead to psychological difficulties such as anxiety, depression or low self-esteem, as well as behavioral problems such as substance abuse or juvenile delinquency. "Unfortunately," says Dr. Marshall Raskind, an expert in the field of learning disabilities, "these problems can be far more devastating than the academic challenges themselves. Although the severity and duration of a child's psychological difficulties may vary as she grows up, such issues can find their way into and through adulthood." Several leading experts in the field of LD have researched the psychological difficulties often experienced by children with LD, and have offered suggestions to parents on ways to help protect their kids from developing such problems. In this overview article, we will describe in general terms what kinds of psychological problems may affect kids with LD, and their possible causes. We will also provide some warning signs parents should look for, and direct you to some approaches that can support your child's psychological well-being. Forthcoming articles in this series, which are being developed over the next few months, will explore specific psychological issues that many children with LD face, such as anxiety, depression and loneliness. To be most effective in supporting your child, it can help to understand some presumed underlying reasons for the psychological and emotional challenges she may face. Although there are a number of theories on why kids with LD may develop these problems, there are two often-cited explanations. First, it is not difficult to see why children with LD are at greater risk for developing psychological difficulties if one considers the repeated failure they experience as they fight their way through the educational system, which may misunderstand or ignore their needs. Despite the child's efforts and adult promptings to "try harder," children with LD may receive little positive feedback. 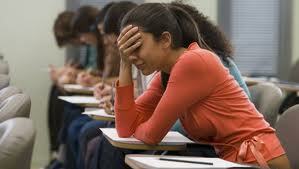 Their academic struggles and failures are often met with disapproval by teachers, peers, and parents. Such disapproval can take the form of negative labeling of a child as "slow," "lazy" or "dumb." Rather than developing a sense of pride in their accomplishments, children with LD may end up in a quagmire of frustration and shame. Such feelings only serve to erode the development of a positive self-concept. In fact, as a result of constant struggle and failure, a negative self-image may develop even when others offer support and encouragement. Low self-esteem and a lack of confidence only serve to further interfere with learning and academic success and reinforce a cycle of failure and negativity. Research conducted by Dr. Kenneth Kavale of the Univ. of Iowa and Dr. Steven R. Forness of UCLA indicates that as many as 70% of children with LD suffer from poor self-esteem. "Over time, children with LD may just stop trying," Dr. Raskind says, "entering a state of 'learned helplessness' where they see little connection between their efforts and ultimate outcomes.' Why bother?' they may ask, 'No matter how hard I try, I always end up failing.'" "Over time, children with LD may just stop trying, entering a state of ' learned helplessness' where they see little connection between their efforts and outcomes. ' Why bother?' they may ask, ' No matter how hard I try, I always end up failing.'" The second frequently offered reason as to why kids with LD may develop psychological problems is the social difficulties they often experience. Research by Drs. Kavale and Forness indicates that as many as 75% of kids with LD have social difficulties such as making and keeping friends. "Research has shown that children with learning disabilities are less accepted, and often rejected by their peers. Teachers and other adults also may tend to have negative views of children with learning disabilities." "In fact, social and psychological problems are so interconnected," Dr. Raskind comments, "that it may be quite impossible at times to determine which one may have caused the other. Certainly, psychological problems can have a negative effect on social interaction. Research has shown that children with learning disabilities are less accepted, and often rejected by their peers. Teachers and other adults also may tend to have negative views of children with learning disabilities." Such social rejection can result in loss of self-esteem and negative views of oneself. In addition, social rejection can result in feelings of loneliness, which, in turn, may lead to psychological difficulties such as anxiety and depression. There are several psychological, emotional, and behavioral difficulties experienced by children with learning disabilities, according to the findings of a number of research studies. In the following list of problems experienced by kids with LD, the descriptions of research findings are carefully worded to indicate how strong the research evidence is for each problem. For example, research may only "suggest" some of the findings because there is a lack of conclusive evidence. For other problems, the word "shows" is used to describe findings because there is a group of studies that all come up with the same conclusion. Research has shown that individuals with learning disabilities may experience increased levels of anxiety. Research suggests that individuals with learning disabilities may be at greater risk for depression. Research shows that individuals with learning disabilities experience higher levels of loneliness. Research shows that individuals with learning disabilities may have a lower self-concept (self-esteem). Research shows that individuals with learning disabilities are at greater risk for substance abuse. Research suggests that individuals with learning disabilities may be at greater risk for juvenile delinquency (there is some debate here). As the parent of a child with LD, you may find this list a bit overwhelming, but don't panic. You are probably already taking many steps in your child's daily life - as described later in this article - to recognize, help prevent, or address psychological and behavioral issues associated with LD. In addition, although there is considerable research on the psychological and behavioral aspects of LD, not all studies are in agreement. For example, while some studies find a link between LD and juvenile delinquency, others do not. Differences in study results can be due to many things. In some cases, the studies may not define LD in the same way, or may use different research methods (for example, interviews rather than statistical tests). Or, the studies may be looking at individuals of different age groups, socioeconomic classes, or cultural backgrounds. Even the ways psychological problems are determined may differ between studies (for example, clinician observation rather than a standardized psychological test), which, in turn, may produce different results So, it is important not to consider only the findings of a single study, but rather to look at the "collective findings" of many studies focusing on a specific area. Low self-esteem is a common issue for kids with LD. Dr. Robert Brooks, a psychologist, Harvard Medical School professor and expert on self-esteem, categorizes the signs of low self-esteem in kids as either "direct" or "indirect." Direct indicators include words or actions that suggest that a child lacks self-confidence, is overwhelmed by challenges facing him, or has little hope for future success. Being impulsive, finishing tasks as quickly as possible "just to get it over with." Occasional and short-term use of these unproductive coping strategies is probably not a cause for concern. But when they become the habitual way a child approaches daily tasks, interfering with learning, growing, and enjoying life, it's time to look at the feelings behind the behavior. Some kids with learning difficulties may become either anxious or depressed as a result of ongoing academic and non-academic struggles related to their LD. According to the Diagnostic and Statistical Manual of Mental Disorders, Fourth Edition (DSM-IV), which is used by physicians to diagnose psychological problems, a child who is anxious may seem worried most of the time; may act nervous in certain settings, such as in crowds of people, at school or when expected to perform; or may fear being separated from home or from parents or other adults to whom he's attached. If you are worried that your child may be experiencing psychological difficulties, discuss your concerns right away with your pediatrician, family physician or a mental health professional. As an expert on your child's personality and typical behavior, you play a critical role in identifying early signs of possible problems. By taking action when you first notice that your child is having problems, you can begin to support her to regain her self-esteem, motivation, and the pleasure she gets from friends, family and daily activities. In the next few months, upcoming articles in this series will focus on particular psychological difficulties that can affect children with LD, such as anxiety, depression, or loneliness, and what research shows about effective approaches for coping with these challenges. "Social Skills Deficits and Learning Disabilities: A Meta-Analysis," by K.A. Kavale and S. R. Forness, in the Journal of Learning Disabilities, 1996, Volume 29, pages 226-237.